Full featured, based on the CDISC ODM standard. Substantially lower cost compared with competing products (as low as 1/10). Rapid implementation. Testing can start in 24 hours. Exceptional ease of direct data access for consumption by third-party tools. 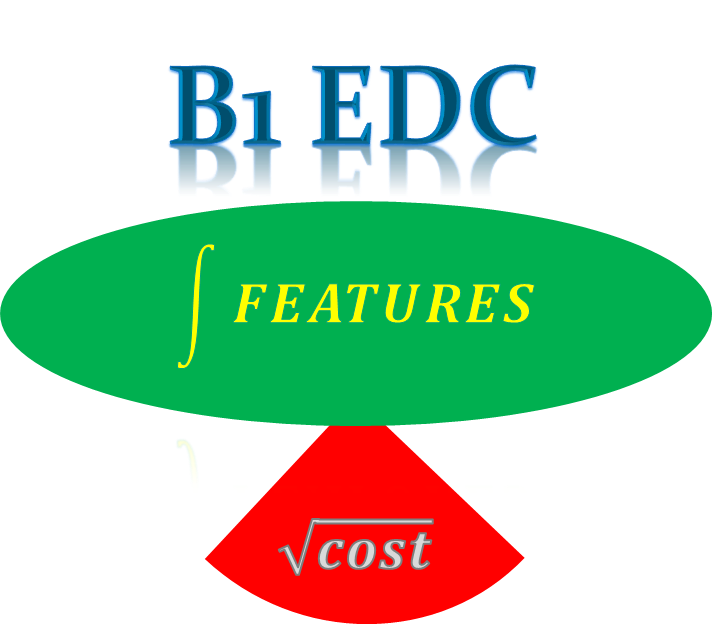 The story of B1 EDC is straightforward - we have developed it into the type of system that we wanted but could not obtain in our clinical research not long ago. We want rapid implementation, low cost, clean and friendly user interface, sensible data structure for easy consumption by a variety of tools. We believe other clinical researchers share the same desire. Imagine you have a team developing a data solution specifically for your organization, deployed on-premise or in the computing cloud, you have the full rights and full control with no need to pay any fees. If you prefer the SaaS(Softwar as a Service) model, you can also consume it as a service hosted by Biyee. That is B1 EDC, our unique customer-centered data solution for clinical studies. Sound architecture based on state-of-the-art and mature technologies, technical depth and superb efficiency allow us to deliver asophisticated and individually built systems rapidly to help you reduce the cost and increase the speed of your mission. Use Biyee's web-base and user friendly study designer to translate a protocol or a part of it to a study design stored in CDISC ODM format. Biyee builds the system rapidly (within 24 hours normally) based on the design and deploys it on a Biyee's server for testing. Repeat the above two steps if changes or more CRF's are needed. Choose one of the following deployment destinations: A.Customer's own IT structure; B. The computing cloud by one of a large selection of hosting providers; C. Biyee's application server. The process takes less than 24 hours normally. FDA 21 CFR Part 11 compliant with complete audit trail. Support the CDISC ODM standard. Biyee's B1 Study Designer is entirely based on ODM. Study designs can be exported in ODM files to any other systems supporting ODM. Web based application with no installation needed for end users. Support all major browsers. Available 24/7, accessible everywhere with strong security control. Biyee's B1 Study Designer has highly intuitive user interface allowing users to design clinical studies by point & click. A collection of reusable data fields growing with the design process. Instant test of CRF while designing. No hidden or maintenance fee. Customers own the delivered systems with full rights. No or minimal extra cost of customers' IT resources. Reports customized according to specific and complex data reporting and analysis needs. Clear and intuitive, hence analyst friendly structure of database allowing easy and quick data retrieval for consumption by various third-party tools. Data exported in common formats ready for analysis with popular tools. There is no upper limit for the size and complexity of a study. Cloud servers can be used to scale up or down the system and pay as you go. The system can reside on an intranet or in the computing cloud to best suit a customer's specific situation. The hosting mode can be changed easily. The pay-as-you-go nature of computing cloud minimizes wasteful spending on resources. Full suite of role-based user access control. SSL communication for encrypting data. Data access logging and report.